Losing my father-in-law was probably the hardest thing to go through. I looked up to that man so much and he gave me such great advice and encouragement. To watch him fight the good fight and then lose to something other than the cancer, was gut-wrenching. 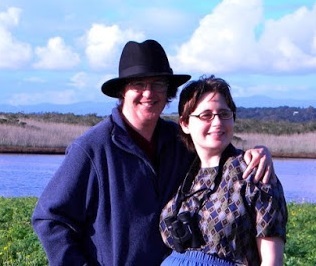 However, to see my wife's family pull together and know I was a part of them, helped a lot. As did this Christmas. This was the first one without him and was going to be especially hard for my mother-in-law. Helen (my wife) and I had her and my brother-in-law over here for the holiday where we decked out the place and managed to create a magical Christmas in which it felt like he was right there with us the whole time. We all felt his presence, and that made me feel so much better. Well, with 2 weeks left, it looks like my Kickstarter is going to fail. Really bad timing on my part I'm afraid. I've gotten a number of compliments on the video I did for it. But, it just wasn't the right time to do something like this. So what's going to happen if it fails? Simple, I've assembled some more people I can trust to help me edit the upcoming book ourselves. My current Beta-readers are telling me they've seen a big improvement in my writing style compared to my first novel. They say I've matured and the editing problems they've seen are much fewer. I seemed to have learned a lot from my first go and they are still reading the first draft. So, that says a lot I think. One of them is a published author and is going to come and stay with us in January and we're really going to go over the entire 2nd book and do some serious editing together. I hope the final result will be really pleasing to all. HAPPY BOXING DAY!!!! Hope you all had a wonderful Christmas. If Santa left you a nice new Nook, Sony, Laptop, or other nice new toy that allows you to read e-books, here's another gift you can give yourself. 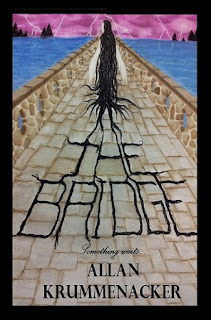 My paranormal/mystery "THE BRIDGE" is still on .99 Cents on Smashwords. 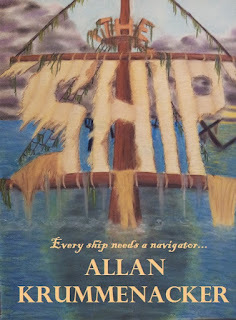 Grab a copy for yourself so you can be ready when the sequel "THE SHIP" comes out in Feb/Mar 2014. https://www.smashwords.com/books/view/272613 However, if Santa left you a new Kindle, you can get the book at Amazon for .99 Cents as well using this link: http://www.amazon.com/Bridge-Para-Earth-Series-Allan-Krummenacker-ebook/dp/B00B86DR9G/ref=sr_1_cc_1?s=aps&ie=UTF8&qid=1388090753&sr=1-1-catcorr&keywords=allan+krummenacker Happy Holidays and enjoy yourselves. "HAPPY HOLIDAYS TO ALL" No updates on Kickstarters, or discount books today gang. Just a few thoughts on this holiday season. This will be our first Christmas without my father-in-law, and I'll admit a part of me is a bit apprehensive about it. But not all that much really. There is still going to be the family gathering this weekend, where I will see a lot of familiar faces and a few new additions. My wife's 'not-so-little cousins' have been growing their families and I will be meeting some of those children for the first time. There will also be others I have not seen in a long while whose presence will be very welcome. Although a lot has changed, the love and closeness we all share will still be there, a lot of this came from my father-in-law. So in his own way, he will be there too. And I'm really looking forward to that. First off, I hope you are all finding many ways of enjoying the holiday season. I know things get hectic around this time of year and stressful. So I hope all of you are finding joy and comfort in family, friends, cartoons, music, etc. I know there's a lot going on for everyone at this time, which means I screwed up. This was definitely not the right time of year to have started my Kickstarter. Unfortunately, three's not turning back because once a Kickstarter's been stared you can't hit a pause button and then restart it at a later date. Once it's been set in motion you have to let it run its full course regardless of whether or not it looks like it will succeed. Okay fellow writers, here's a question for you all. How many of you find yourselves working and reworking a scene because something just isn't right? In your mind, you know what you'd like to happen, but something just doesn't seem to be working right. You make a change here, then a slight a tweek there and suddenly everything goes KAFLOOEY! You suddenly hit a dead end, or the entire plot has taken a detour to No-wheres-ville. When this happens to me, I get the same feelings I had whenever I tried to solve a Rubik's Cube. I know all the parts and where I think they should go, but they're just not in the right spot. And trying to get them in their proper place can be a nightmare some days. The e-book version of Book 1 in my Para-Earth Series is available for all e-reader formats at Amazon and Smashwords for just $0.99 CENTS! Within these pages you'll ecnounter psychics, spirits and an old stone bridge with a terrifying secret. Mystery, the paranormal and a sci-fi twist similiar to the old Twilight Zone series await you. You can find a number of 4 and 5 star reviews can be found at both Amazon and Smashwords as well as get a sneak peak at the first few pages. so take advantage of the opportunity to get to know the characters before book 2 comes out in February 2014.